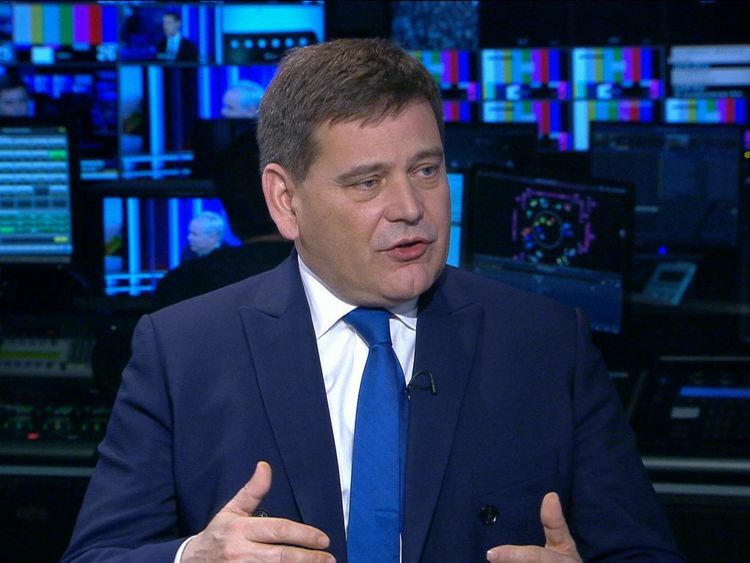 It comes after Tory MP Andrew Bridgen acted in defiance of Theresa May and party bosses by allowing the pair to join his local Conservative association, Sky News understands.The North West Leicestershire MP is understood to have acted after the duo, who ran the Leave.EU campaign, saw a membership application rejected by the Tories' central office last month.Mr Banks and Mr Wigmore attempted to work around that rejection by joining Mr Bridgen's local association.But they have again encountered resistance from Tory central office, with party insiders revealing membership applications are subject to review by both the main party and constituency associations before final approval.A Conservative spokesman said: "Arron Banks and Andy Wigmore's applications for membership of the Conservative Party have not been accepted." Mr Banks has been urging Leave.EU's social media followers to join the Tory party in recent weeks.He has explained how he believes "the battle for Brexit is now within the Conservative Party" and an upcoming Tory leadership election.It comes as Mrs May faces widespread criticism of her so-called Chequers plan to leave the UK closely aligned to the EU after Brexit.Commenting on his latest bid to join the Tories, Mr Banks told Sky News: "The association put it through and approved it. 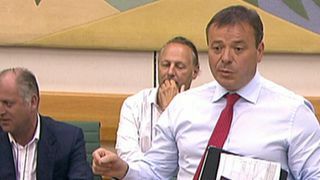 "Asked whether Conservative Party chairman Brandon Lewis could yet block the application, Mr Banks added: "I'm not sure he can. "But a Tory source said: "They can keep on applying but it has not been accepted. "And a senior Tory MP told Sky News: "Ultimately their local membership will have to come up to CCHQ, when it does I have little doubt that the same reasons that we rejected their applications last time will still stand." Under Tory party rules, members can join either centrally or via local associations.The website of the North West Leicestershire Conservative Association only offers advice on how to register an interest in joining.But the website of another local association, the Cities of London and Westminster Conservative Association, states: "Anyone can choose to become a member of any Conservative association, regardless of where they live. "It adds, by joining a local association, those signing up "also become a member of the Conservative Party".Mr Bridgen is a prominent critic of Mrs May and has already submitted a letter to the Conservative 1922 committee, which organises leadership elections, declaring he has no confidence in the prime minister.Mrs May is facing another perilous few months as she attempts to win support for her Chequers plan both among MPs and the EU, in order to deliver a Brexit deal.The prospect of the prime minister being toppled by Tory MPs unhappy with her Brexit strategy has prompted fears of "entryism" within the party; whereby new members sign up in the hope of having a say in a leadership election.Mr Lewis recently revealed the party's membership stands at 124,000.Mr Banks, who runs an insurance business as well as owning a diamond mine, previously gave large amounts of cash to UKIP. He and Mr Wigmore, along with their friend Nigel Farage, described themselves as the "bad boys of Brexit" during an account of their time running Leave.EU in the run-up to the 2016 referendum.Earlier this year, Leave.EU was fined a maximum €70,000 for breaches of electoral law during the EU referendum campaign.